The manager’s office is within the car-park & site entrance area. 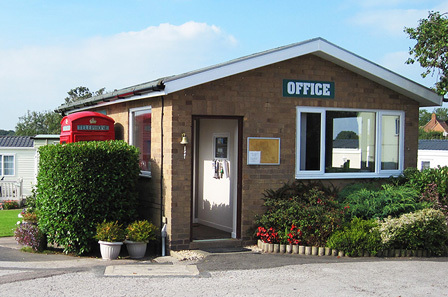 On arrival please go along to the park office where you will be greeted by a staff member who will be happy to discuss your requirements and show you around the park and the units/plots we currently have available. Office hours are 8.30am until 5.30pm 7 days a week. Visitors to the park are always welcomed but outside of office hours prior contact would be appreciated.